is the true story of one of the wackiest competitions around. 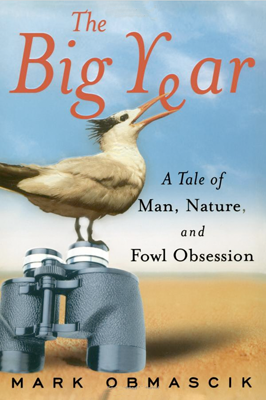 Every year hundreds of obsessed bird watchers participate in a contest known as the North American Big Year in which each birder spends 365 days racing around the continental U.S. and Canada compiling lists of birds, all for the glory of being recognized as the Big Year birding champion of North America. In this entertaining book, Obmascik, a journalist with the Denver Post, tells the stories of the three top contenders in 1998: a wisecracking industrial roofing contractor from New Jersey who aims to break his previous record and win for a second time; a suave corporate chief executive from Colorado; and a 225-pound nuclear power plant software engineer from Maryland. 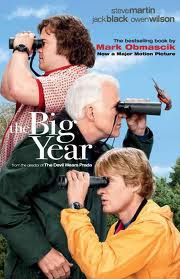 The 2011 film adaptation stars Jack Black, Owen Wilson and John Cleese.